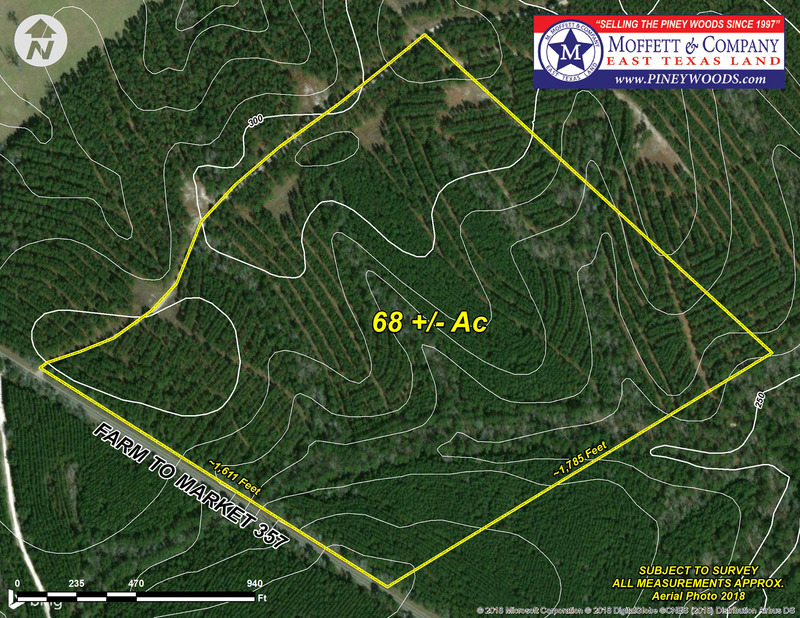 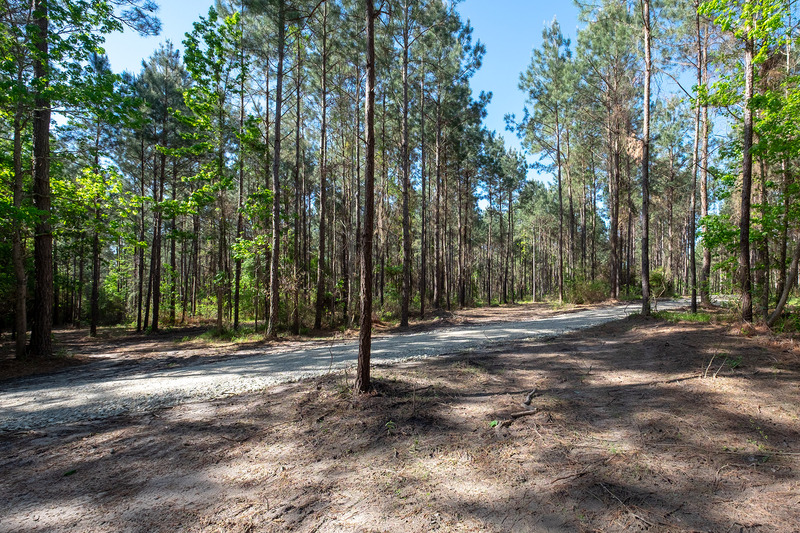 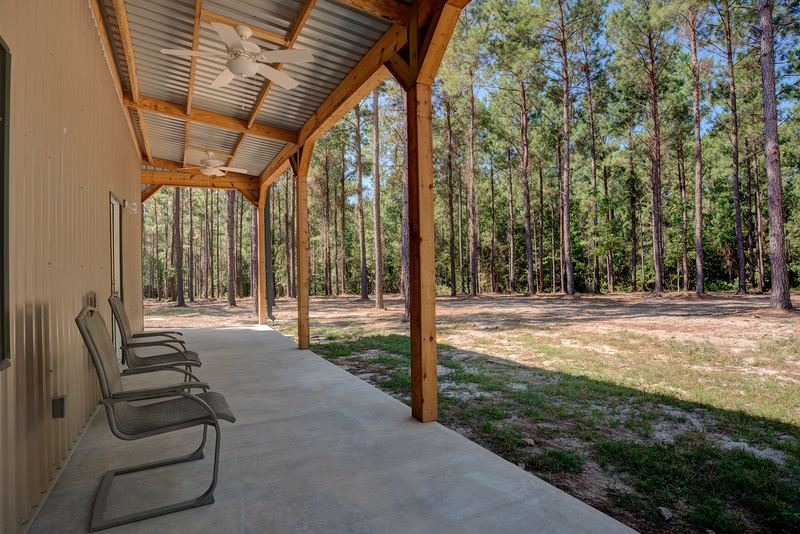 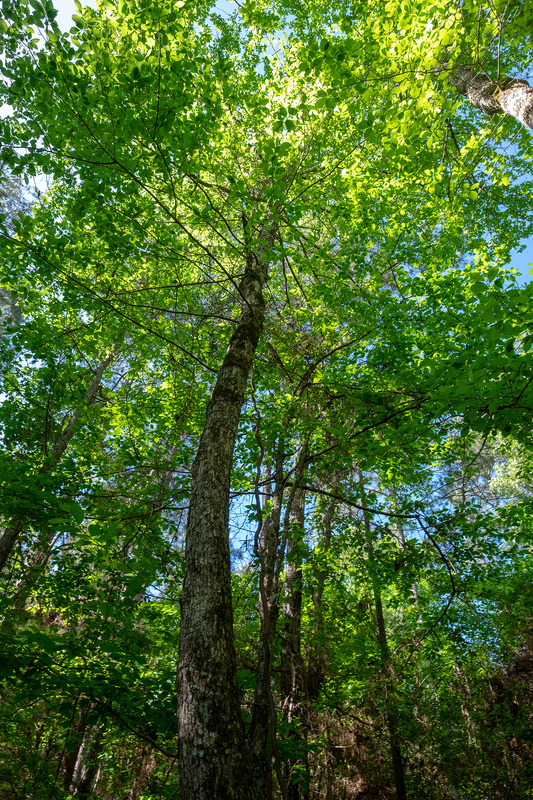 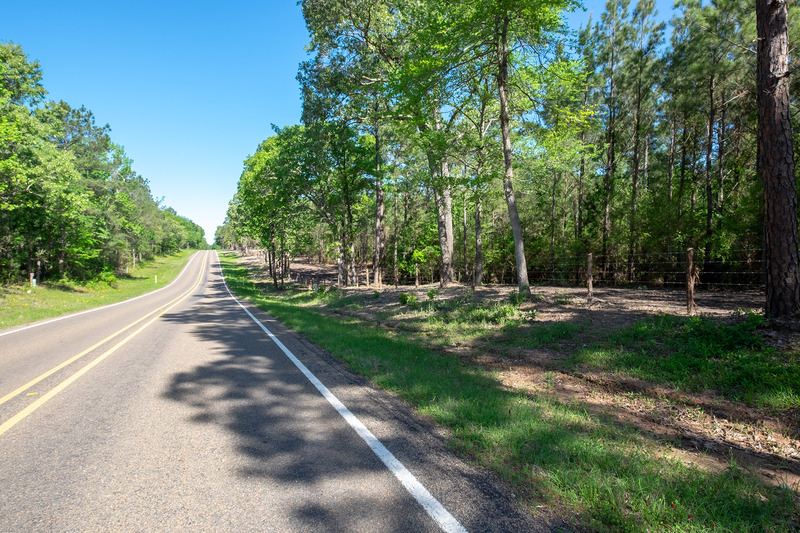 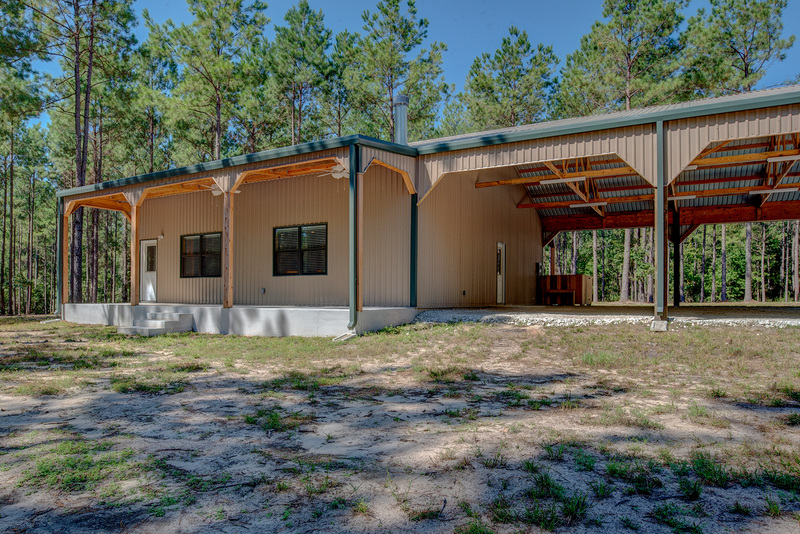 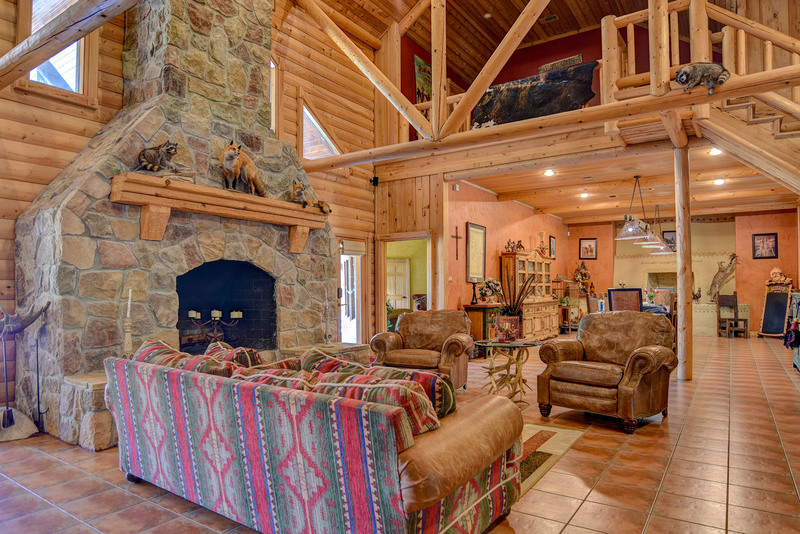 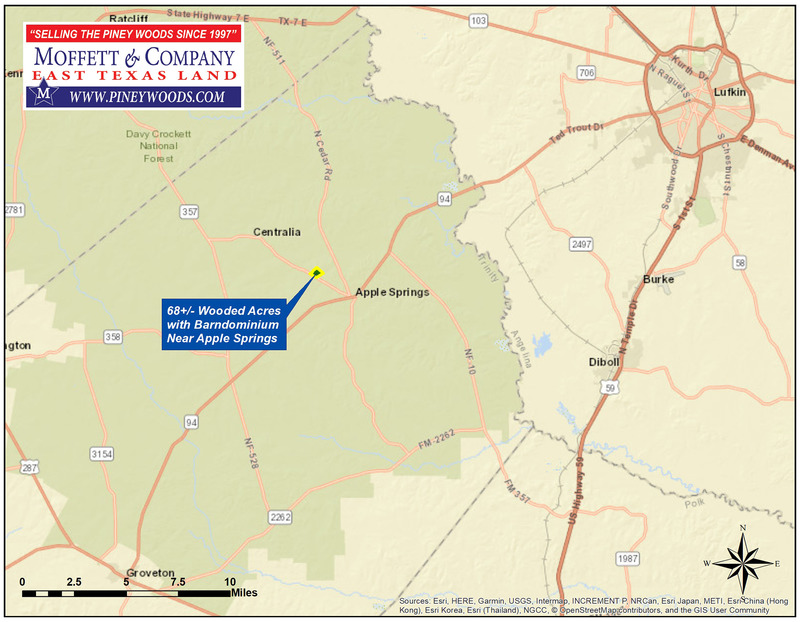 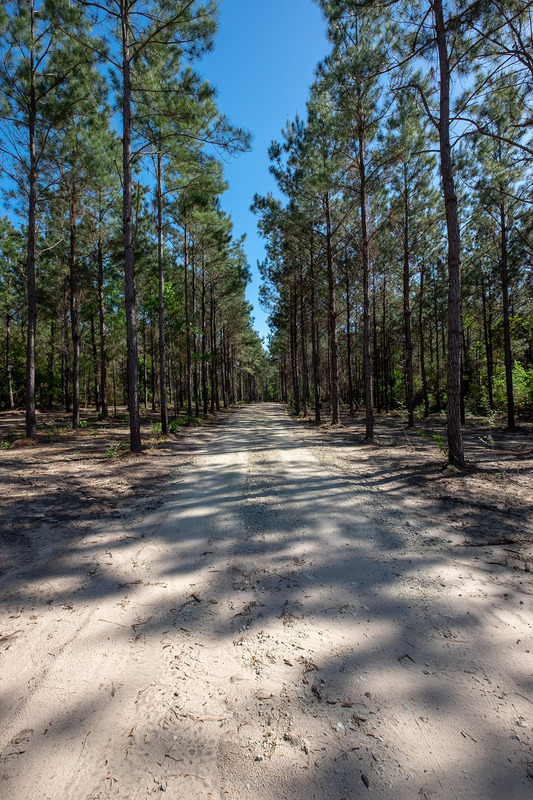 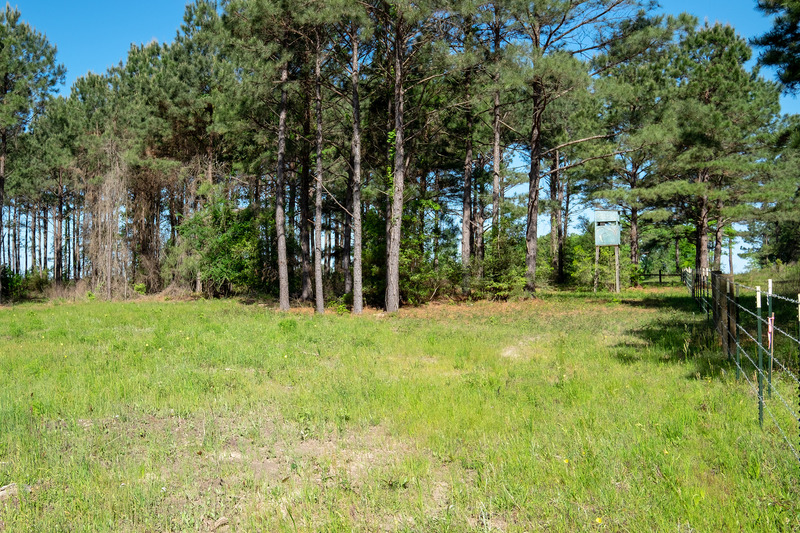 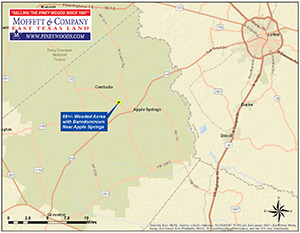 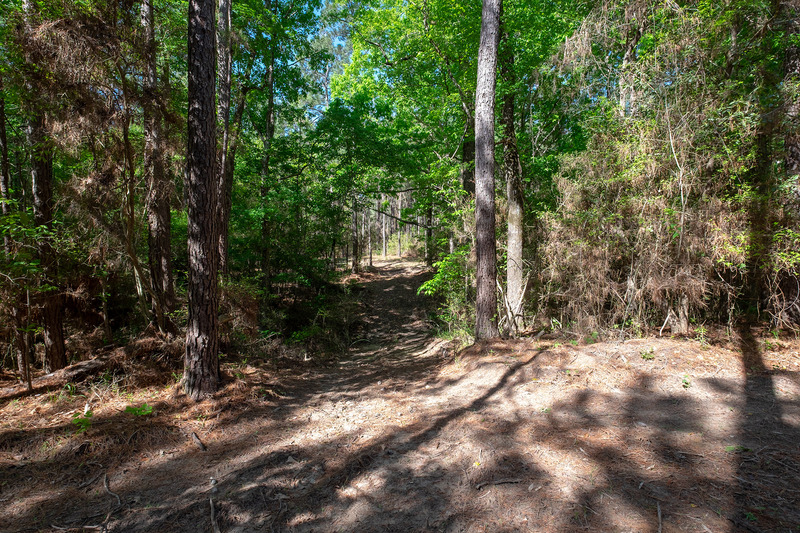 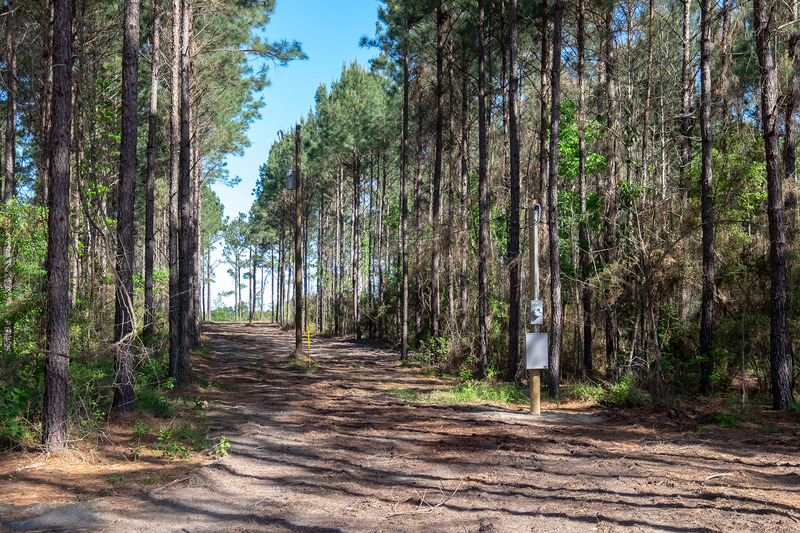 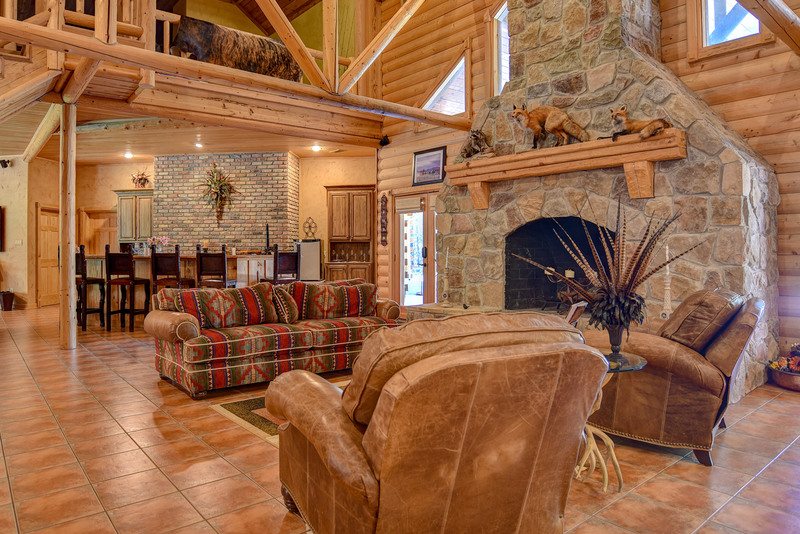 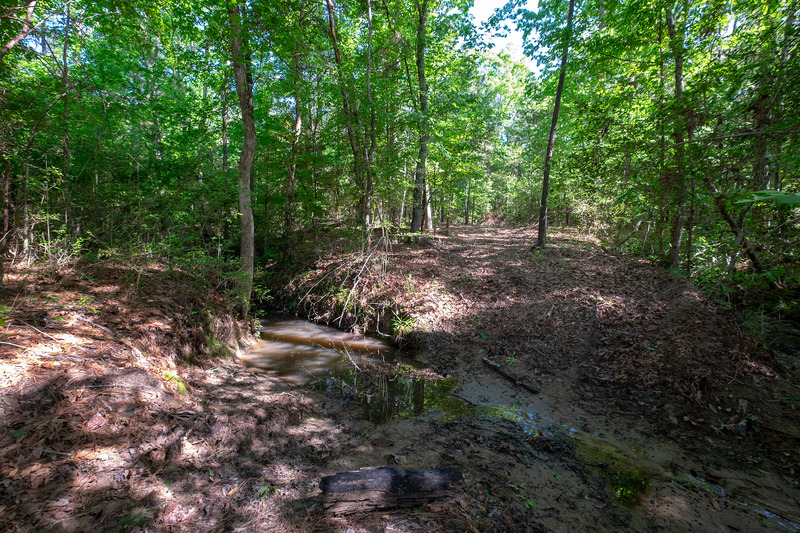 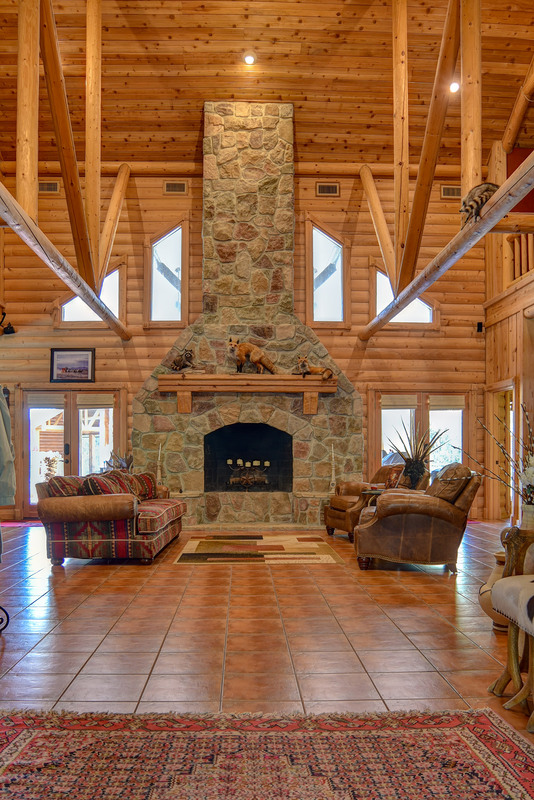 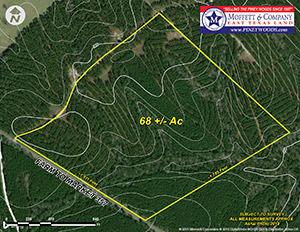 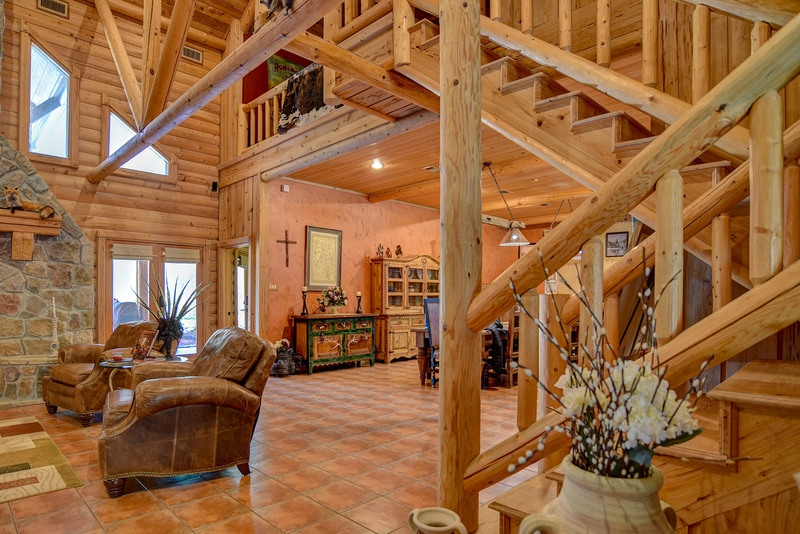 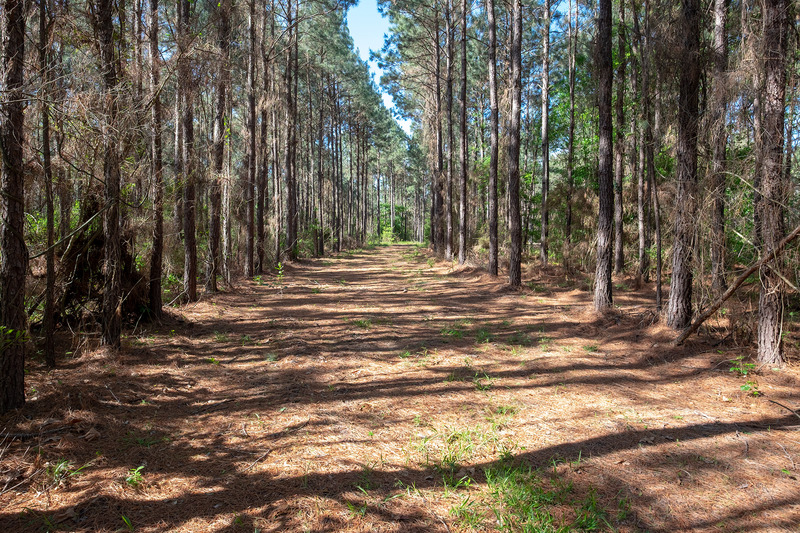 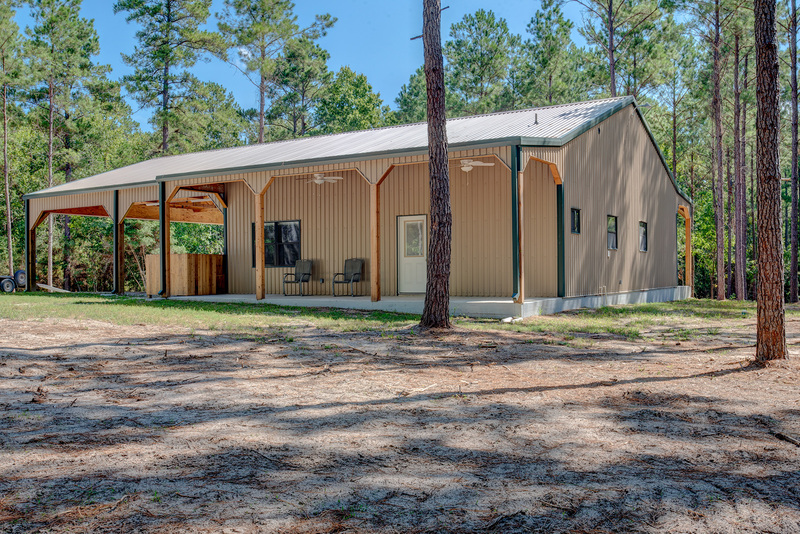 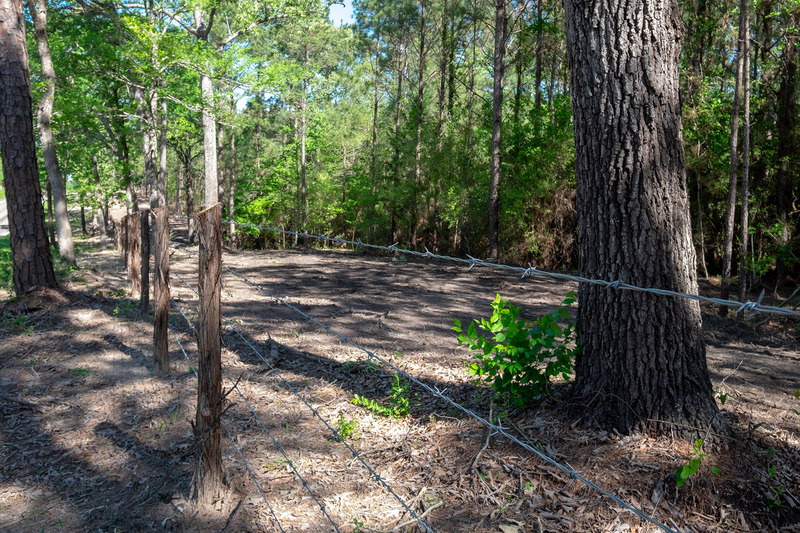 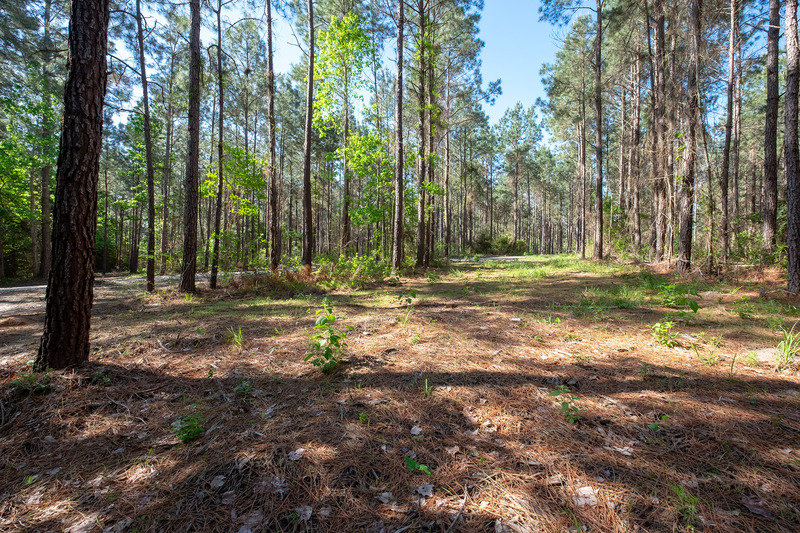 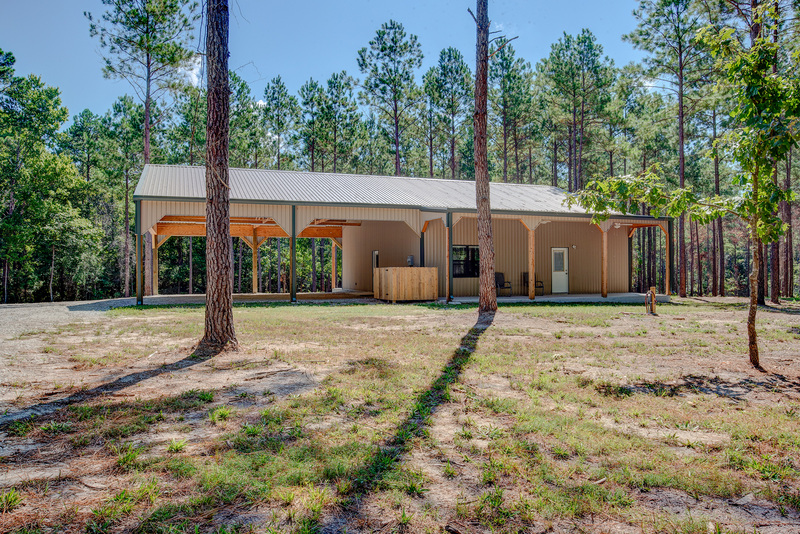 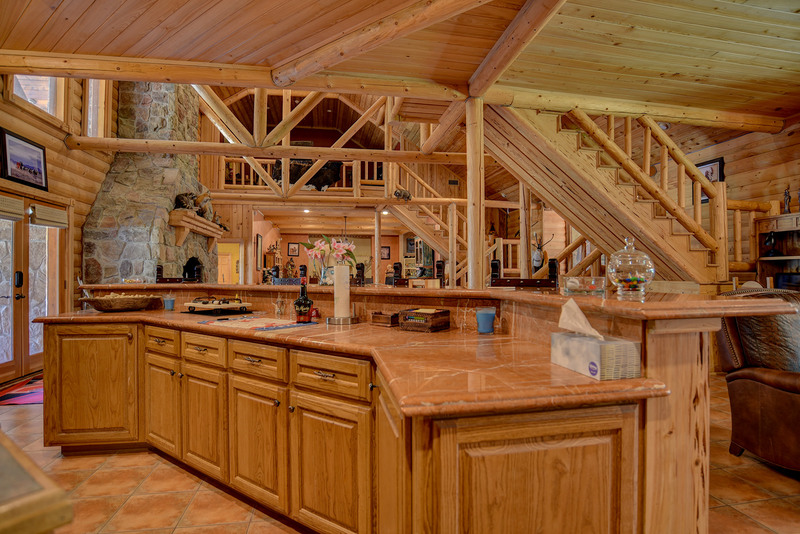 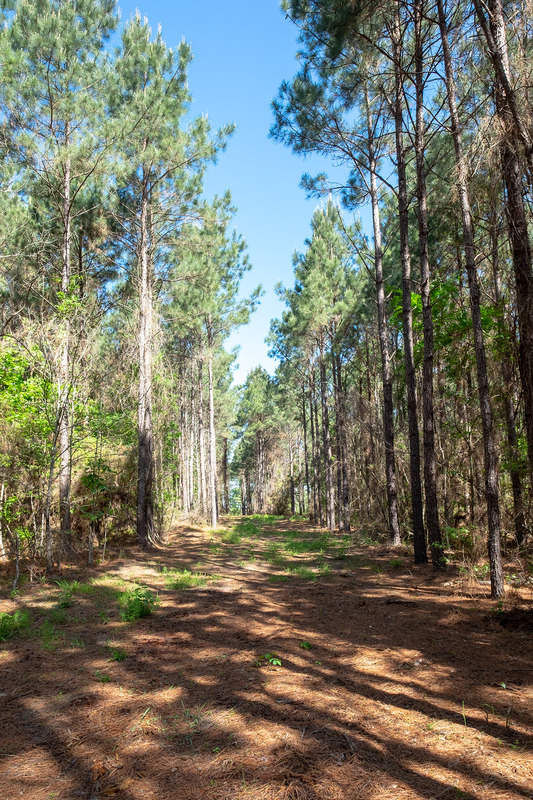 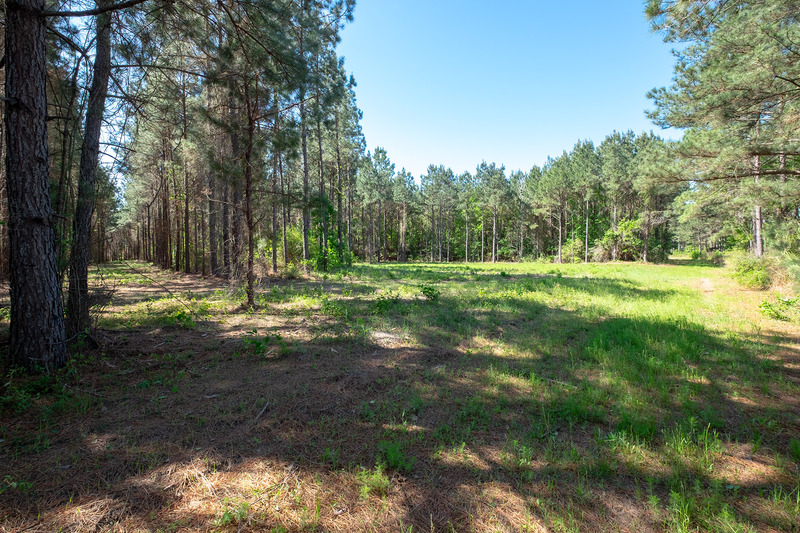 This nicely improved 68+/- acre wooded tract, located near Apple Springs in the heart of the Pineywoods of East Texas, offers scenic rolling terrain with mostly mature pine trees, many larger native hardwoods located primarily in the branches and ravines crossing the tract, a recently completed 2,800 total SF metal "barndominium," miles of open ATV trails, and new perimeter fencing including attractive cedar post fencing along the over 1,600 feet of paved Farm-to-Market 357 frontage. 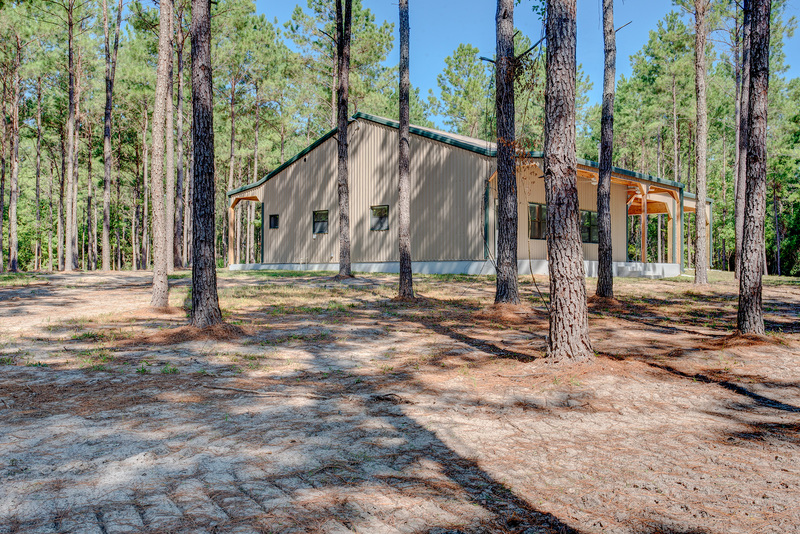 Sitting on a prominent hilltop, the attractively completed 40'x70' metal building features a 1,400 square foot living area living area boasting an open family room with 12' ceilings and fireplace, kitchen with island, granite counters, stainless steel appliances, and pine cabinetry, an oversized bedroom, spacious utility room with W/D and cabinet storage, and bath with tiled vanity and walk-in shower. 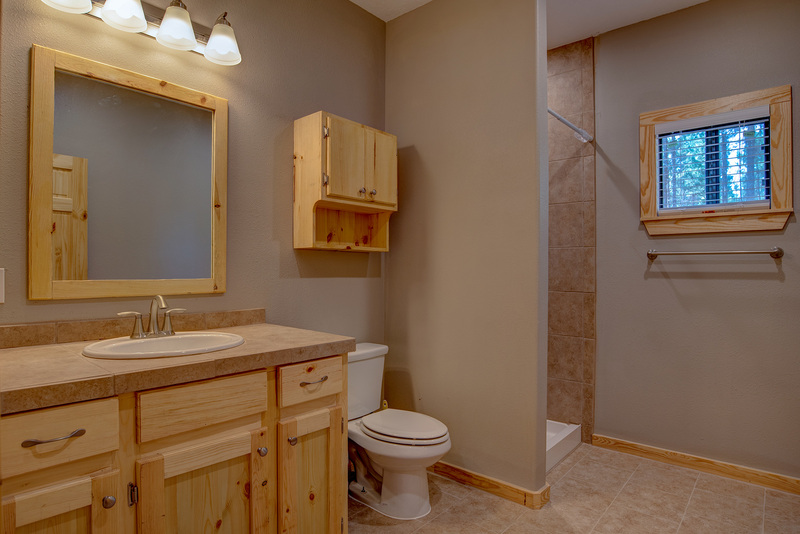 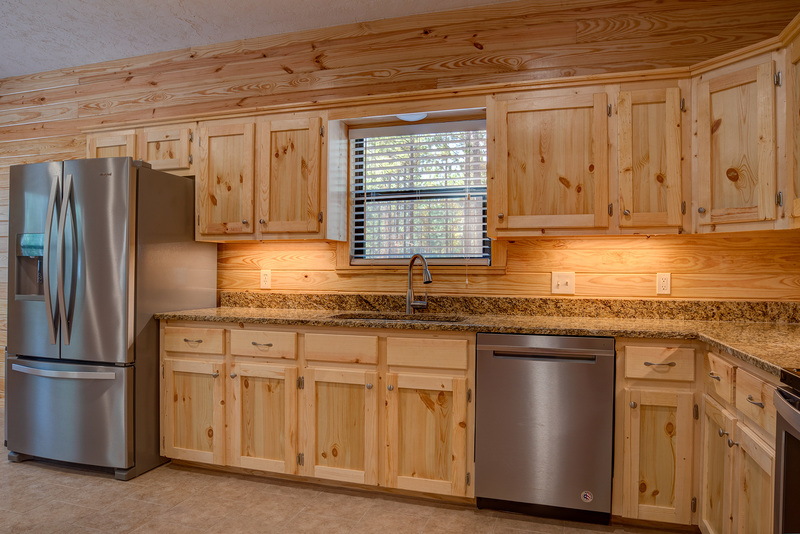 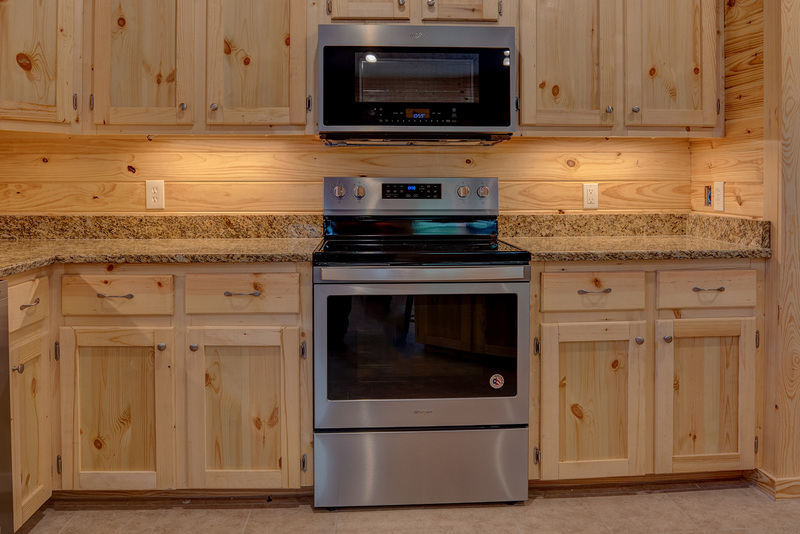 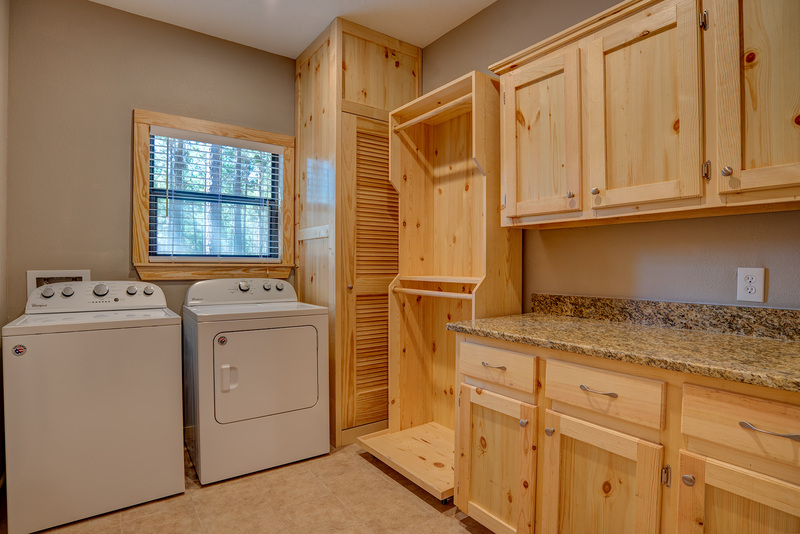 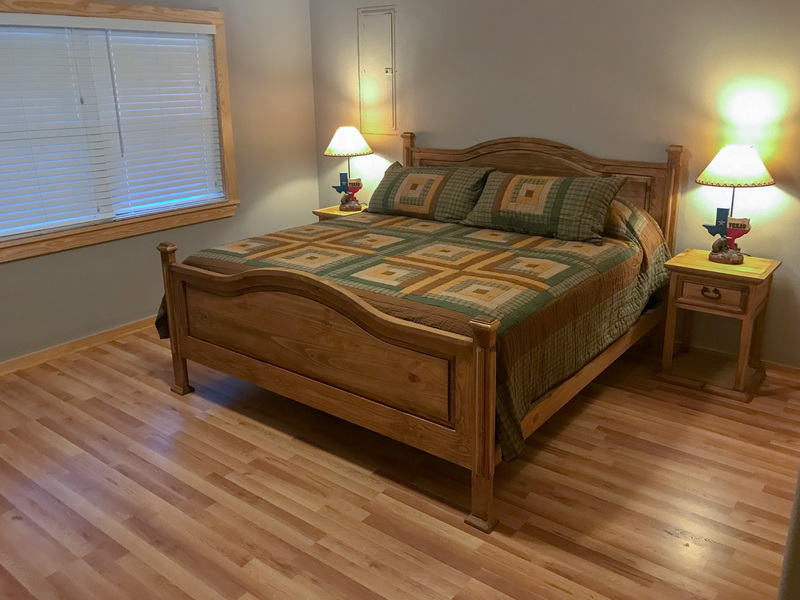 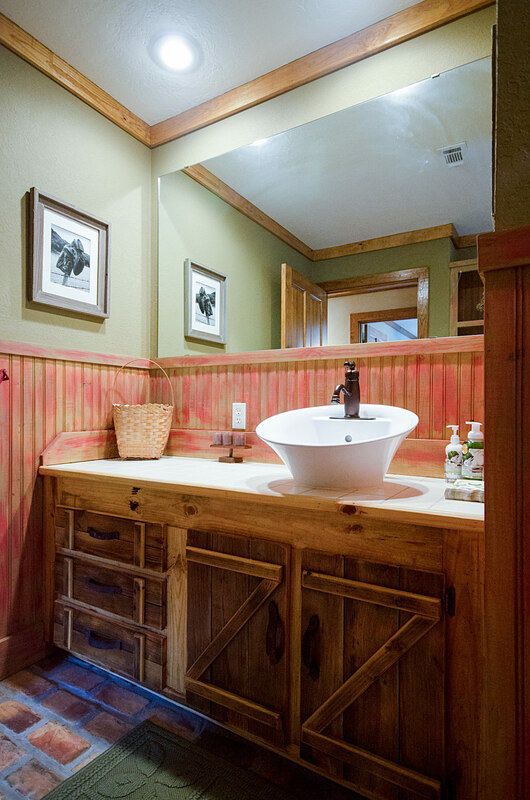 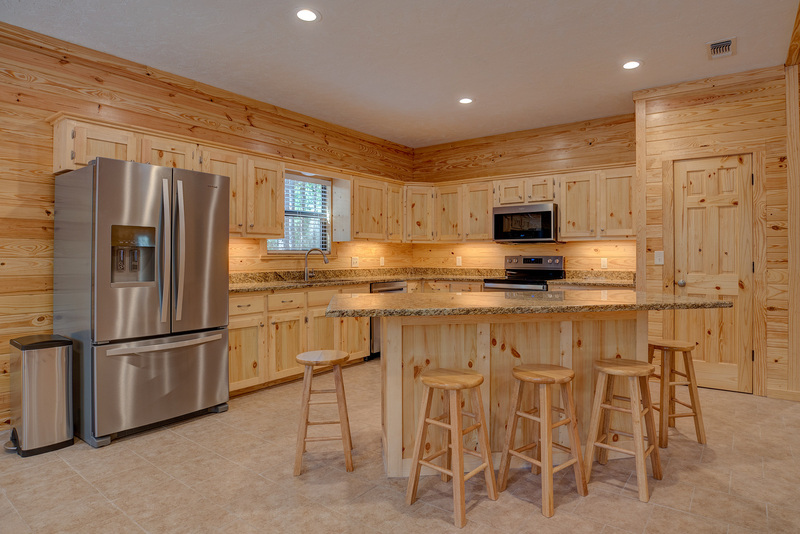 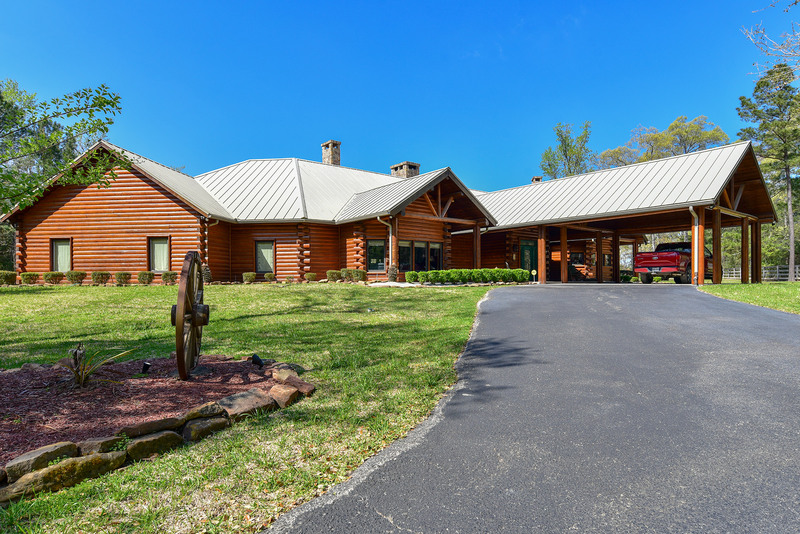 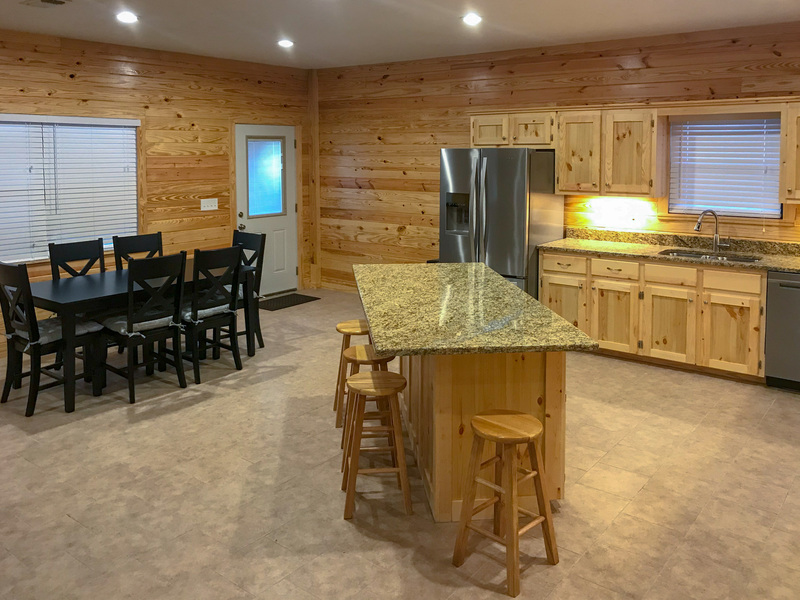 Other features found throughout include laminate and ceramic tiled floors, knotty pine walls, 9' foot ceilings, inset lighting, pine doors and cabinets along with extra insulation and a large attic storage area. 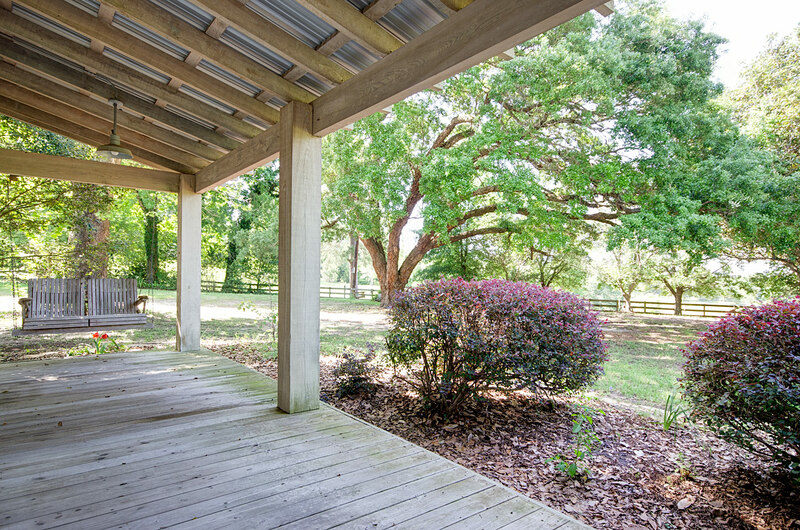 There are both front and back covered porches. 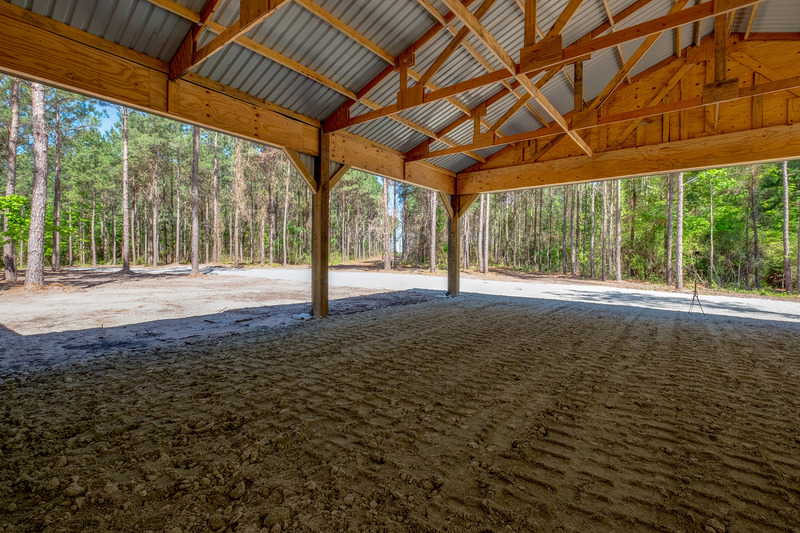 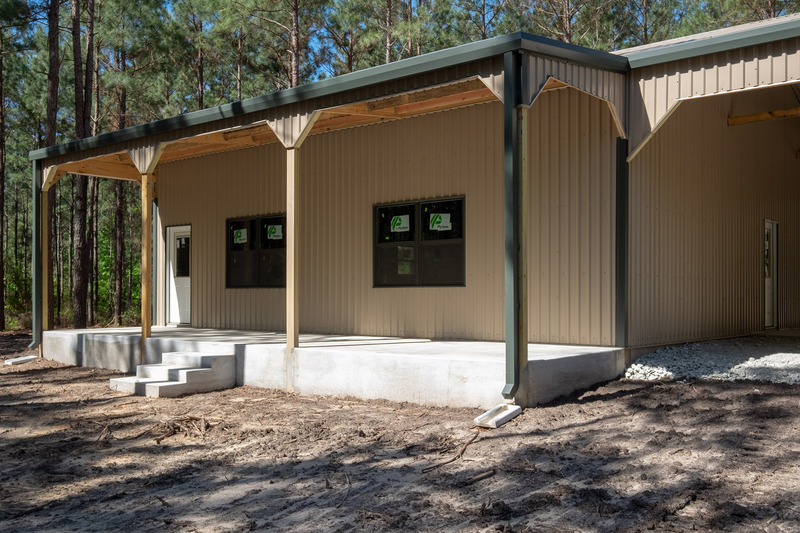 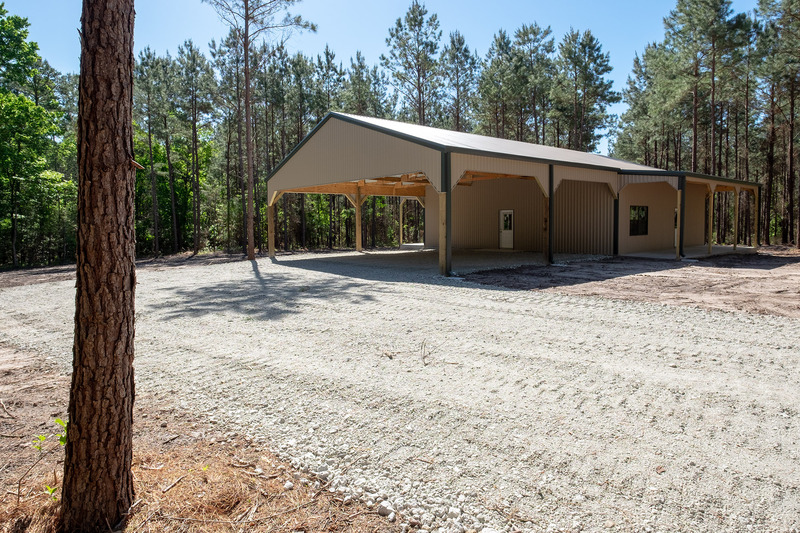 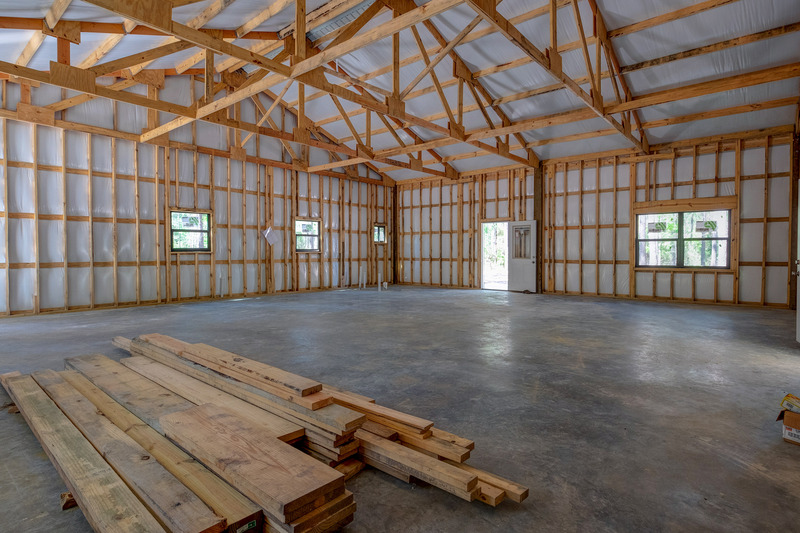 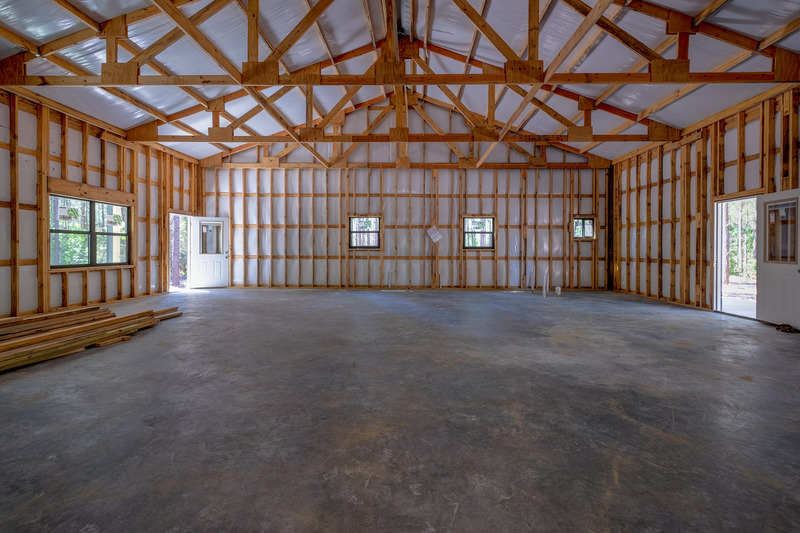 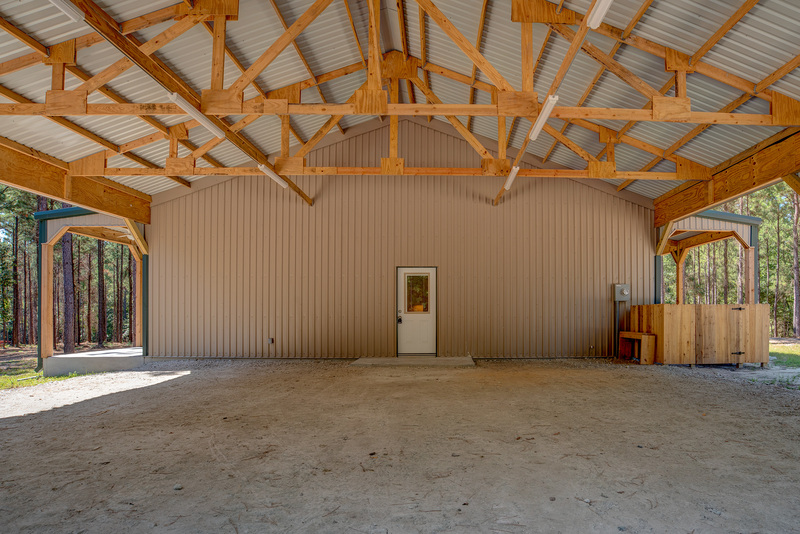 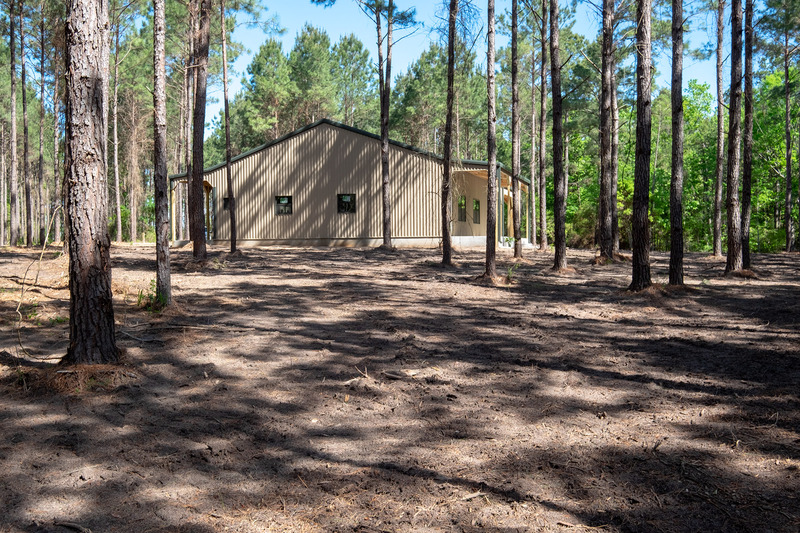 The other half of the building features a rocked open area for parking, equipment storage, or further completion as a garage or workshop and additional plenty of additional room for more buildings is available. 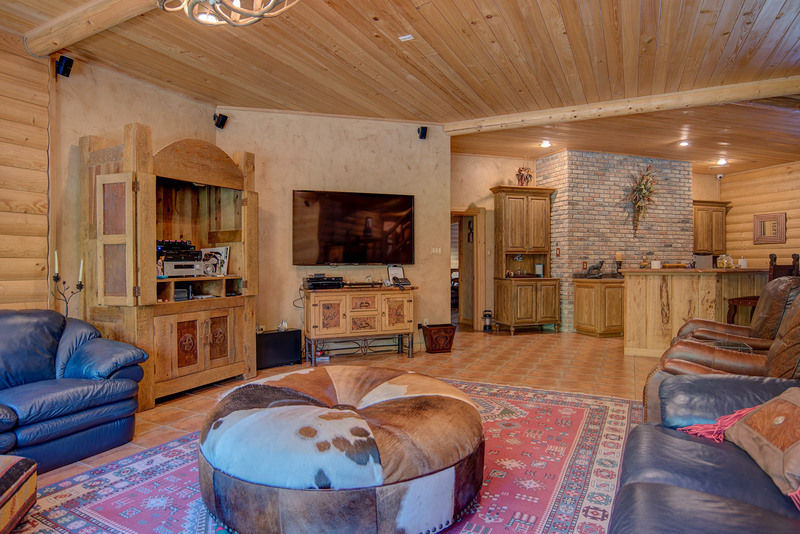 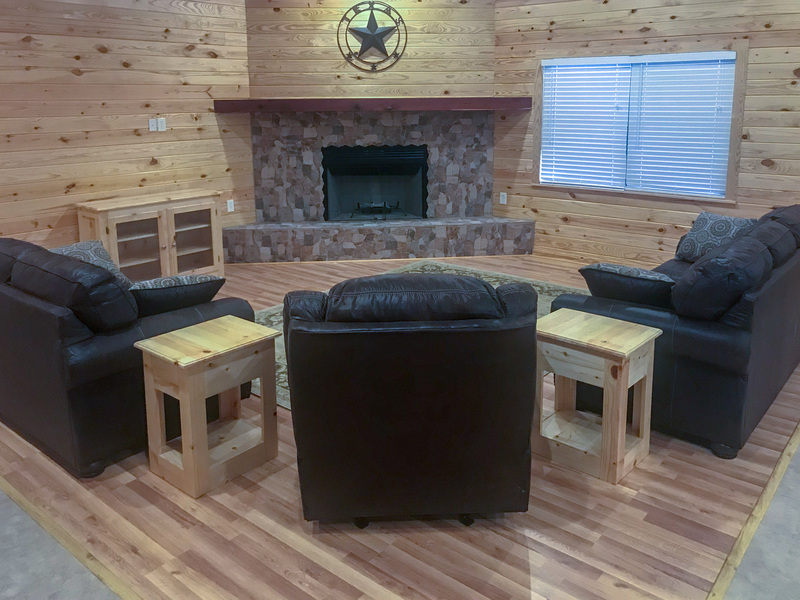 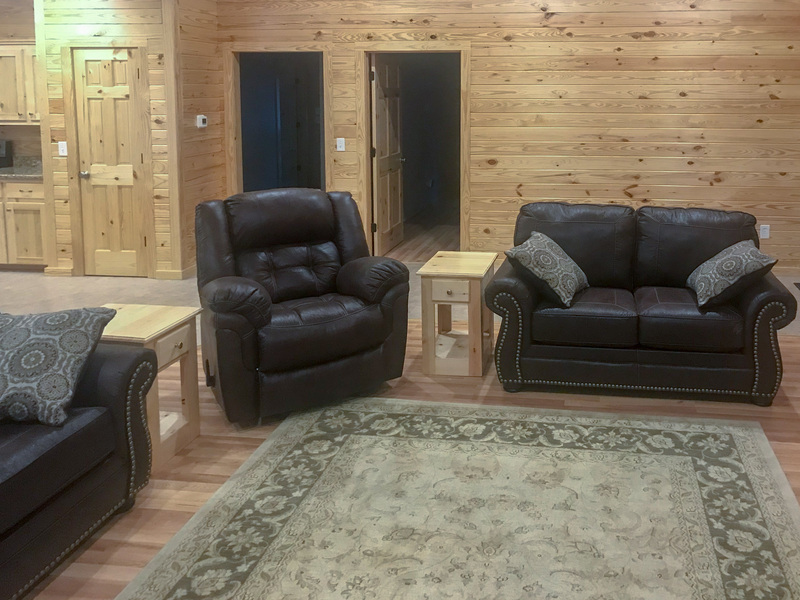 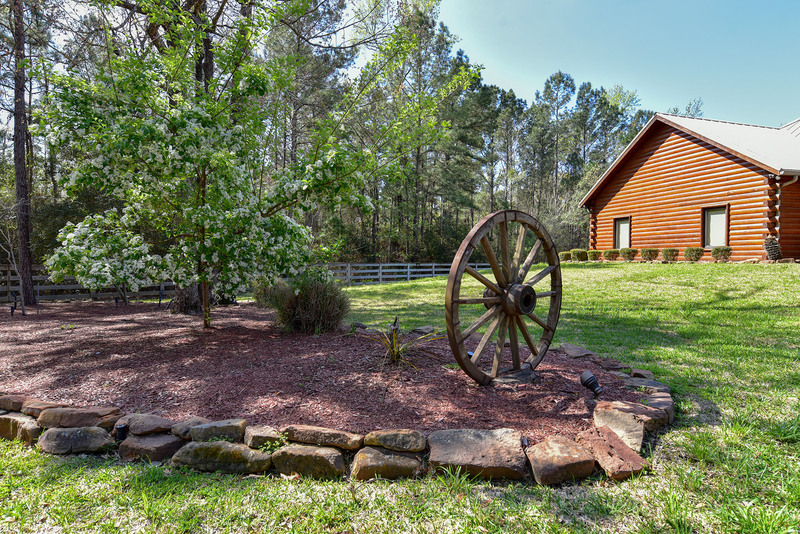 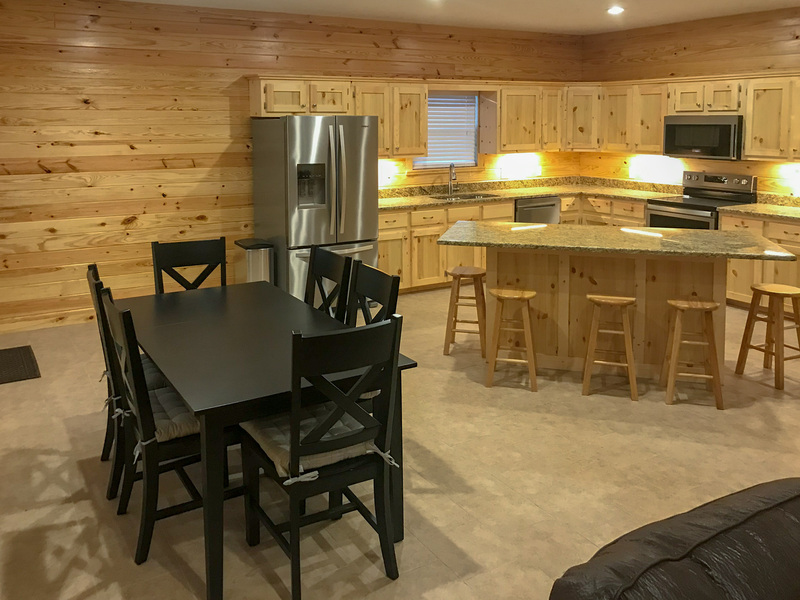 The barndominium is served by community water, underground electrical services, is pre-wired for TV and phone, and is ready to move-in! 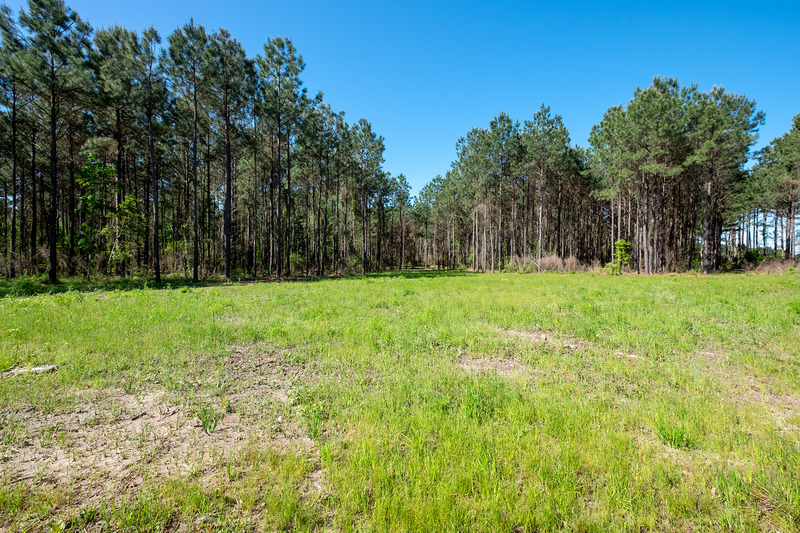 The soils are excellent sandy loamy with the hilly countryside offers interesting topography and pretty views some of open meadows. 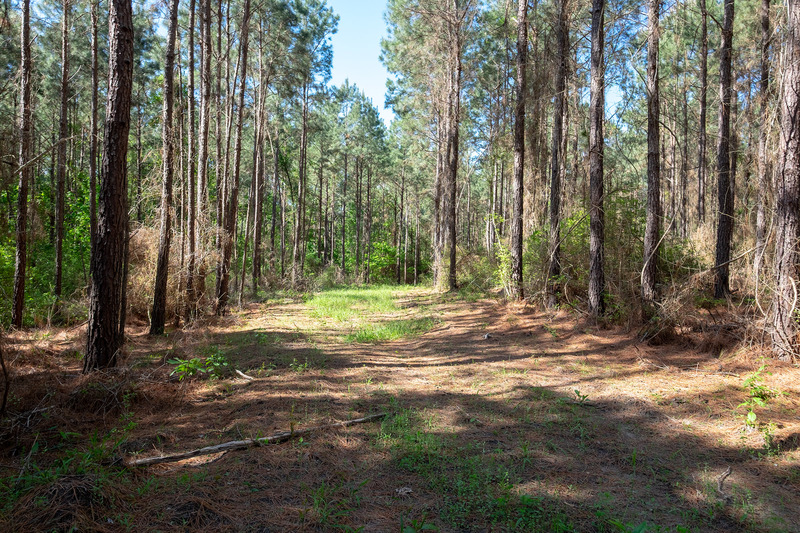 There exist several ideal lake building locations in a large hardwood ravine system the bisects the tract. 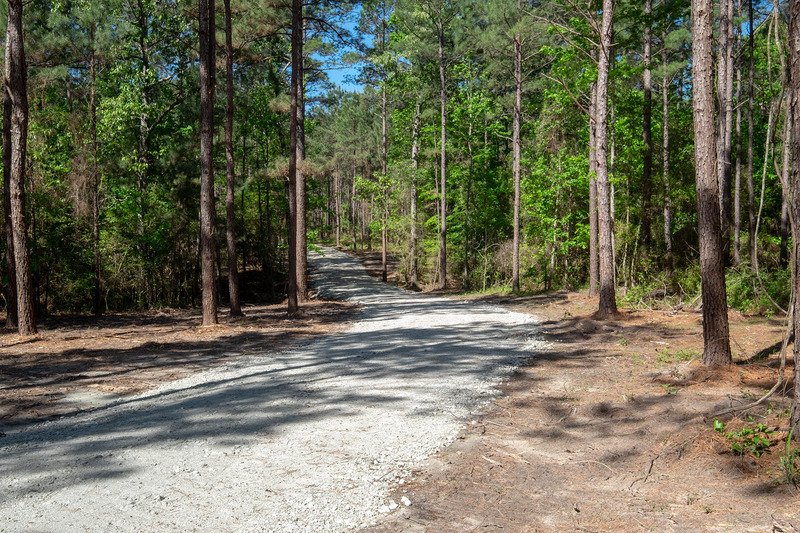 In addition to the improved rocked road leading from the main gate, the ranch has miles of riding or walking trails and is also cleared along the boundary fencing. 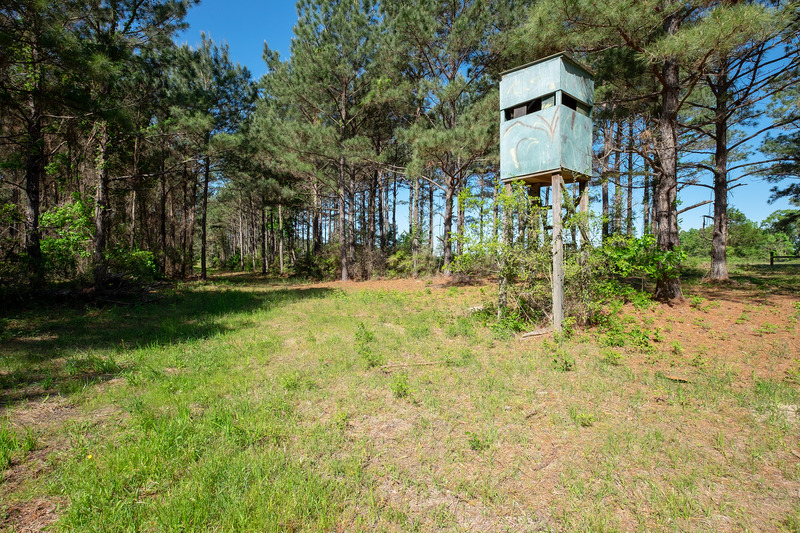 Hunting for whitetails and feral hogs is great in this area and an established hunting area including elevated stand is in place. 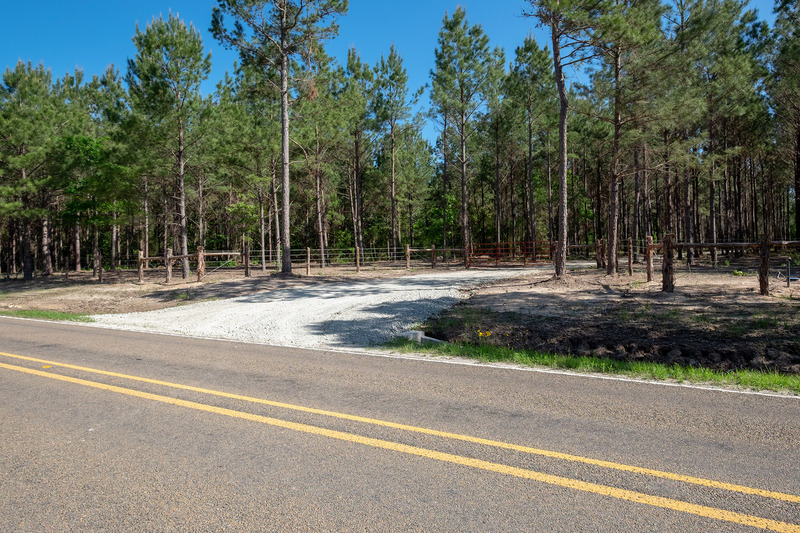 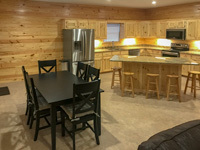 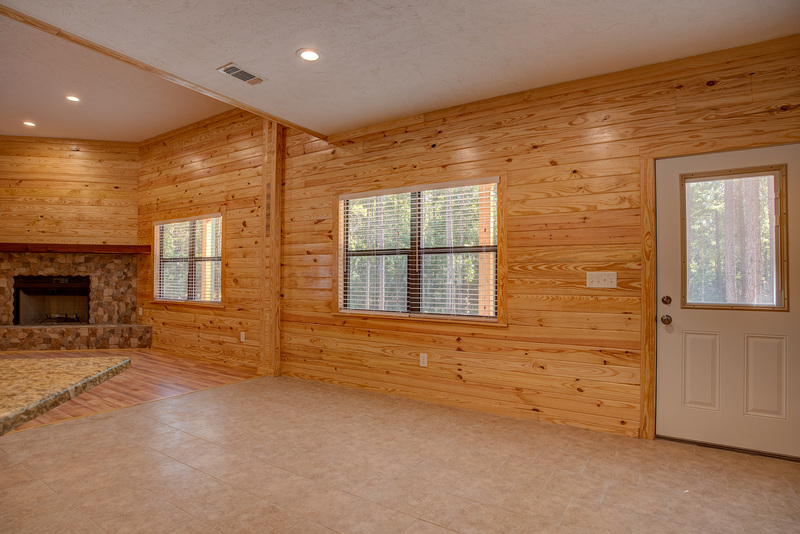 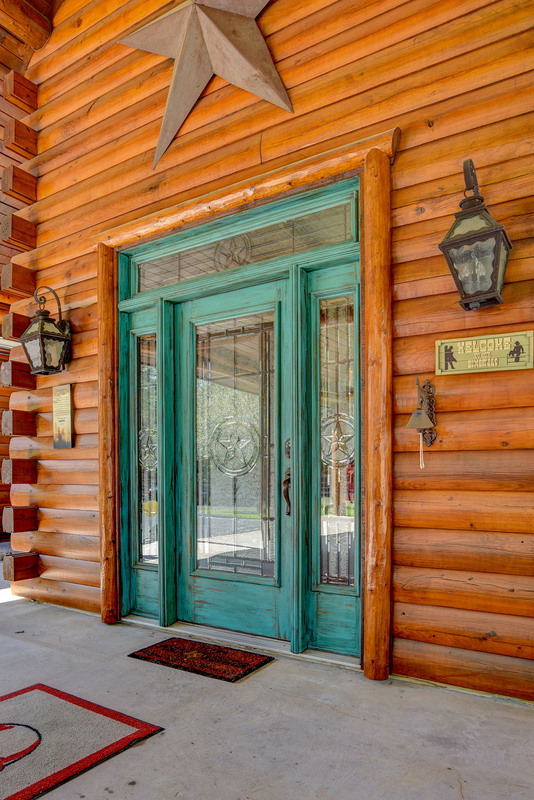 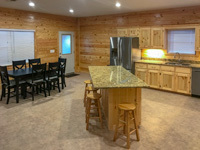 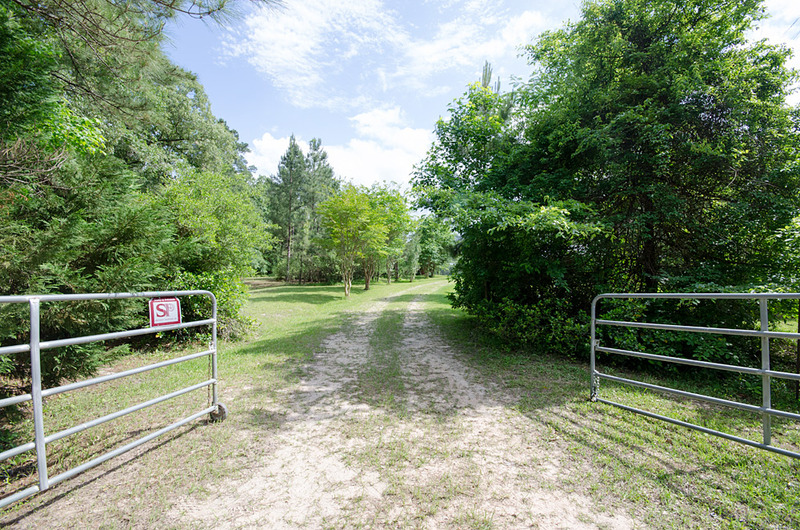 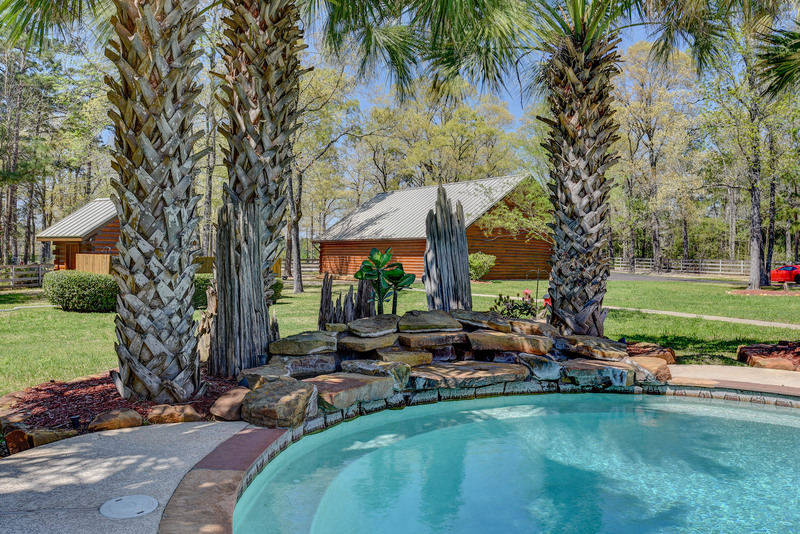 This attractive, well improved recreational property is perfect for a weekend get-a-way or as an eventual attractive residence offering an ideal private, secluded country setting yet is just located just a few minutes from local groceries, gas, and dining or about 20 minutes from either Lufkin or Livingston. 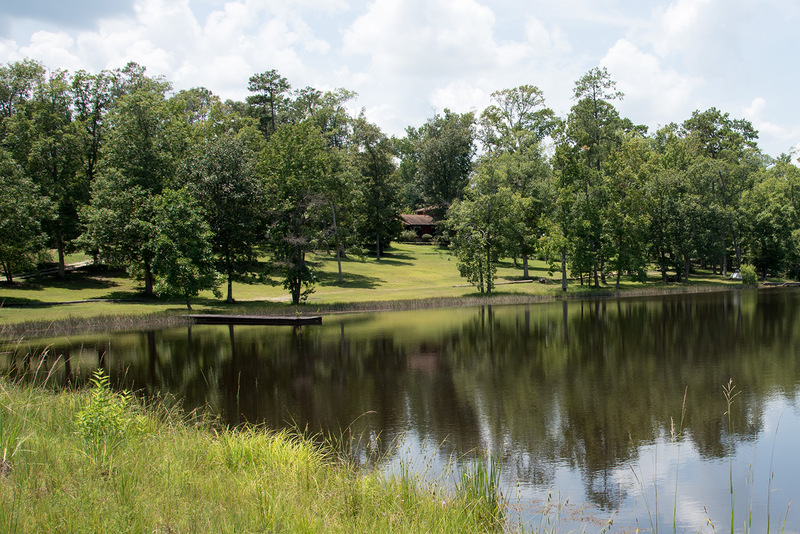 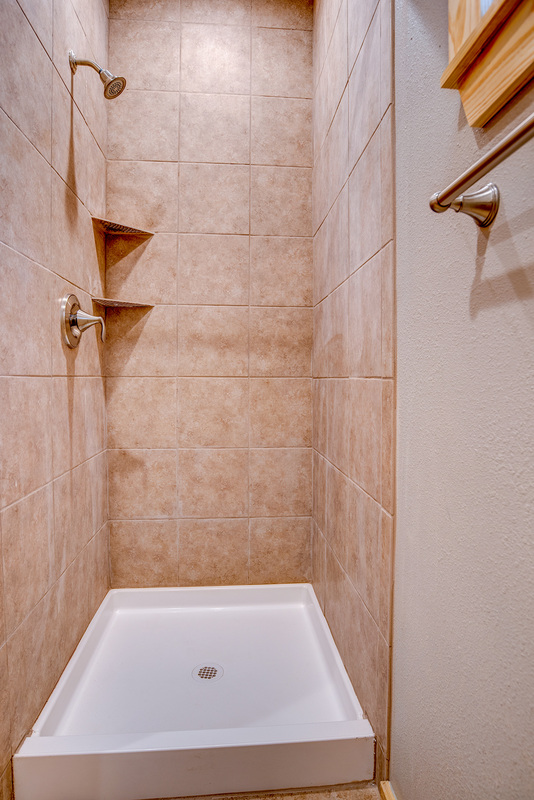 Or escape from the city--just a little over a two hours' drive from north Houston or the Woodlands. 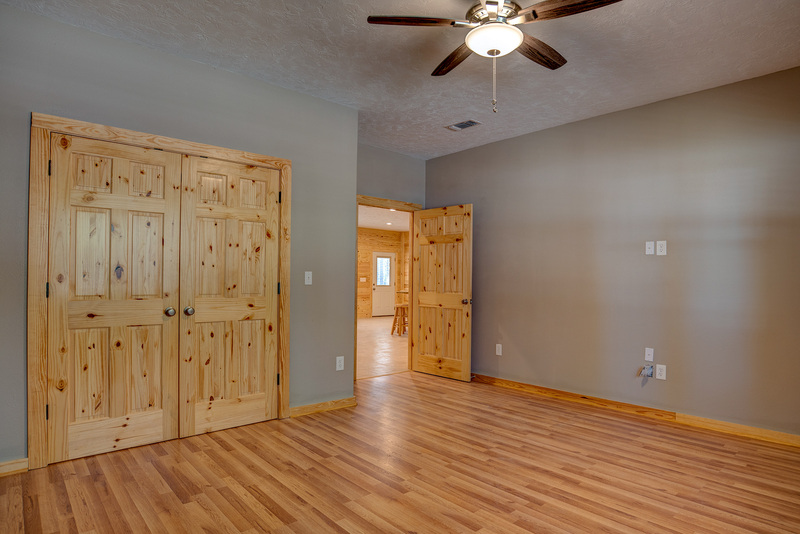 Contact us today for more information or to arrange a showing appointment! 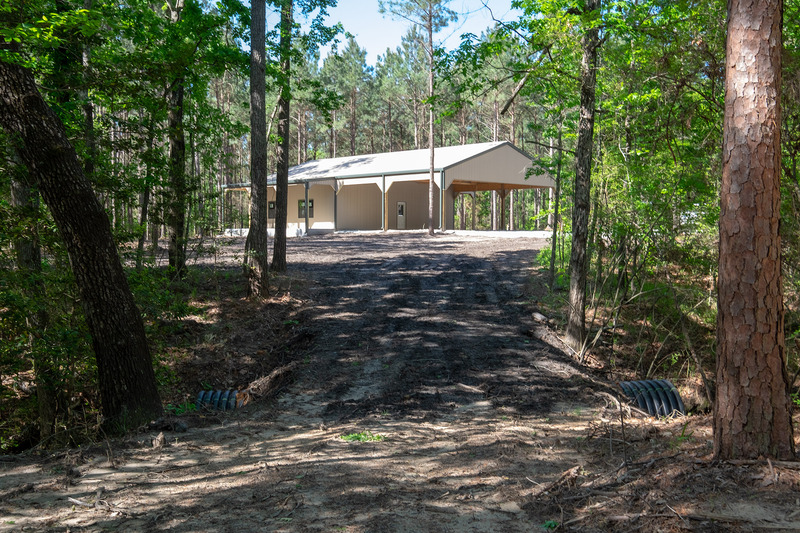 Email Milton F. Moffett, III , Broker/Realtor® - Call (409) 283-8737 for more information.